The Bordelais have viticultural and vinicultural “best practice” down to an art. It’s not technology per se…it’s technique. This translates into very high quality across multiple price points. Learn why Bordeaux, (yes Bordeaux!) can give you incredible value for the dollar! Learn why Bordeaux is both art and state-of-the-art? Born and raised in the San Francisco Bay Area, 90 minutes from the Napa Valley, Jeffrey developed an early predilection for the (fermented) fruit of the vine. By the time he hit the university, he was hooked. This led him to spend his junior year at the Université de Bordeaux, where, much to the chagrin of his professors, he spent considerably more time in the vineyards than in their classrooms. After graduating with honors from the University of California, he returned to Bordeaux to enroll at the Institut d'Œnologie. Those were the last two years during which world-renowned enologist, Professor Emile Peynaud, taught at the Institut from which Jeffrey would become one of the first two Americans to graduate. They became good friends. After graduation, Jeffrey worked in the retail wine trade in Bordeaux then in New York City. Later, he moved to the Midwest, where he was hired to set up an import division focused on European wines. The portfolio he built there included many fine Bordeaux estates, the wines of Aubert de Villaine, the Domaine de la Romanée-Conti and Etienne Sauzet from Burgundy, and an extensive range of outstanding German producers. 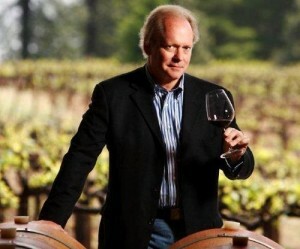 At the same time, he served as Midwestern Regional Director for Les Amis du Vin, for which position he was "hand-picked" by its co-founder, Robert Gourdin. In 1979, he returned to France with his Bordeaux-born wife and began writing for the respected wine and food magazine, "Gault Millau", for which he was the first American contributor. That period also marked the beginning of his association with the premier American wine periodical, "Friends of WINE Magazine", for which he served as the French Editor from the late 1980's to the early 1990's. For 35 of the last 40 years, Jeffrey has worked in France, cultivating close relationships with growers in Bordeaux, Champagne, Burgundy, the Languedoc, and the Rhône. His focus is on discovering, introducing, selling and marketing exciting new wines to markets worldwide, concentrating on North America, Europe and Asia. In this connection, he has enjoyed the support of the international wine trade and the specialized press, especially Robert Parker, Stephen Tanzer, James Suckling, La Revue du Vin de France, Katsuyuki Tanaka, etc. (A short list of wines launched by Signature Selections is attached). Profiled in Stephen Brook's superbly researched book, Bordeaux: People, Power and Politics (Mitchell Beazley - 2001), Jeffrey is also a recurring figure in William Echikson's Noble Rot: A Bordeaux Wine Revolution (W. W. Norton & Co. - 2004), and is regularly quoted in newspapers and magazines ranging from "Le Figaro Magazine", "Le Monde", and "Libération", to "The New York Times", "The Wall Street Journal", and "The San Francisco Chronicle". Jancis Robinson, the FT's wine critic, praised his pioneering work in the Languedoc. France's top wine critics, Michel Bettane and Thierry Desseauve, called him "l'un des meilleurs négociants actuels, l'Américain Jeffrey Davies (Signature Selections)." ("Currently one of the best wine merchants, the American, Jeffrey Davies, owner of Signature Selections," company he founded in 1986). Acquire a profound knowledge of Bordeaux with the Bordeaux Master-Level program and Bordeaux Study Trips. Learn more about French wines with the French Wine Scholar study & certification program.